"Paia's Oz turned out to be a big hit. 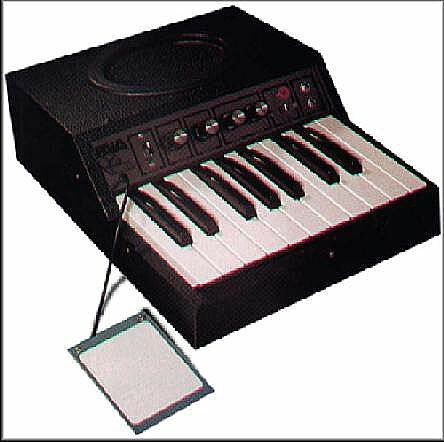 Its controls were minimal, but with its touch-sensitive plate and small size, its reputation grew as a polyphonic keyboard source whose sounds could be modified, enhanced, and mixed via other modular synthesizer gear." "I see the Oz keyboard only had a range of an octave and a fourth - from C to F. Was an 18-note keyboard the smallest you could find? 'No, as a matter of fact we could have gotten a smaller keyboard than that. It just seemed like a convenient number. At the time, Marvin Jones was working with me on a good many things, and that was his contribution.... If I had been left to my devices, it most likely would have been a smaller keyboard. "'The problem being addressed here was the monotonic [monophonic] nature of synthesizers at that time. There really weren't any built-in microprocessors to control multiple signal-generating chains, so every synthesizer work was monotonic. And when you found synthesizer work that was polyphonic, it was done with multitracking. So one of the purposes of the Oz was to give a polytonic [polyphonic] front end, something that could do chords that then would be processed by the rest of the synthesizer chain - filters and so on. One of the tricks on Oz was that it had a little pad that you could push to bend the note, or bend the whole chord for that matter.... It had a gate signal out or a trigger signal out..."